How nice not to have to worry about scratching your floor – no matter how much strain daily life puts on it. 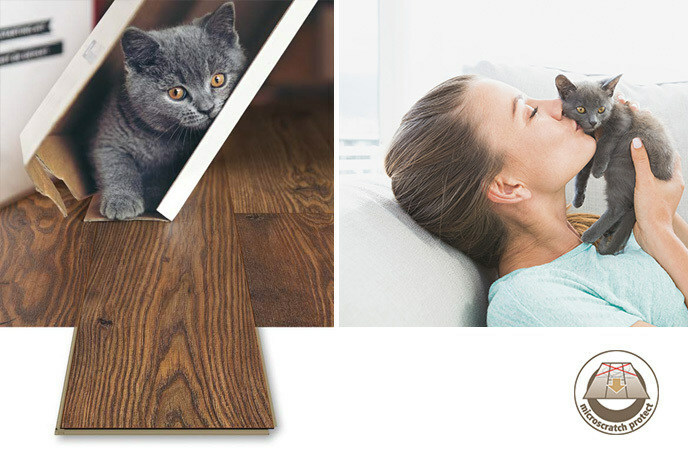 Pebbles or toys, furniture or shoes, even busy little paws – there are many things that put your floor to the test. And thanks to Microscratch Protect, our floors pass with flying colours – even under heavy use. So much more resilient than conventional floors – durability at its best.